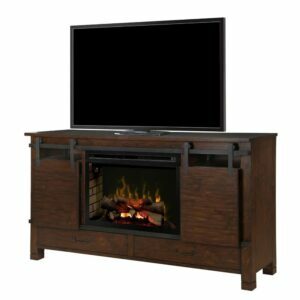 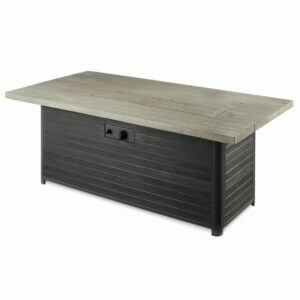 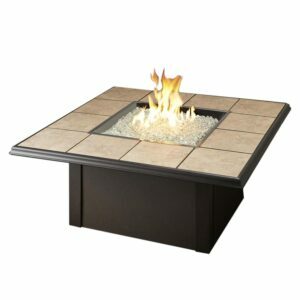 Add elegance and style to your home with this Grand Colonial Fire Pit Table from The Outdoor GreatRoom Company. 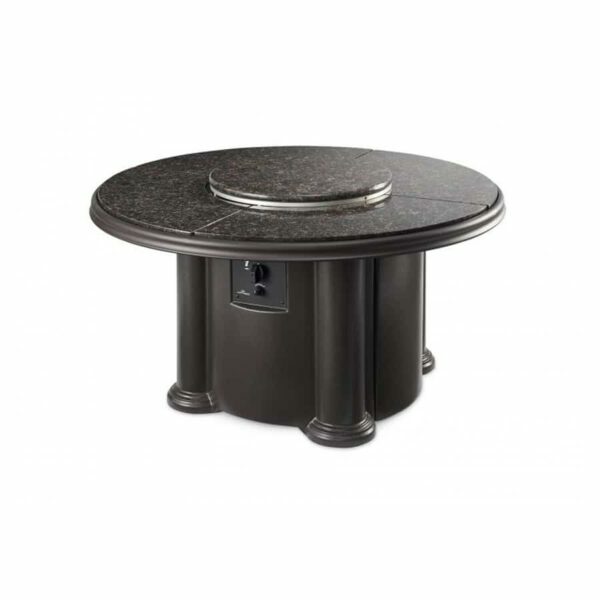 The Grand Colonial features an inviting natural granite top and lightweight fiberglass base. 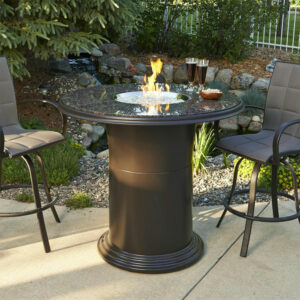 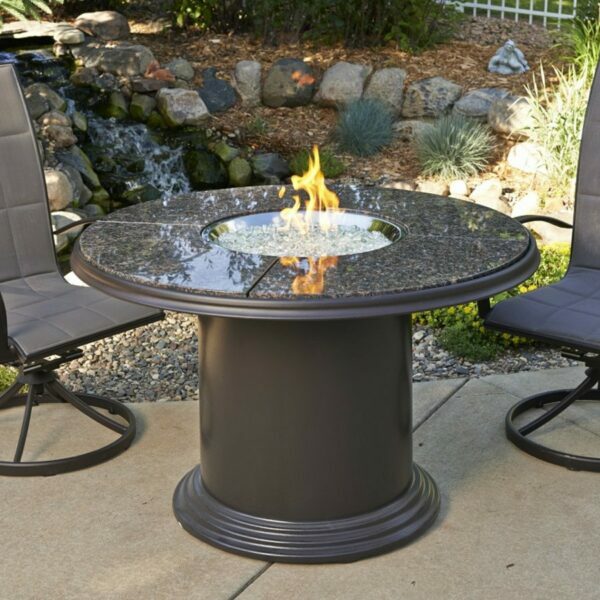 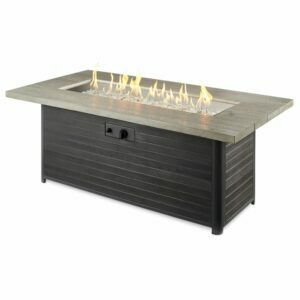 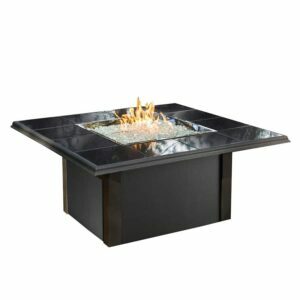 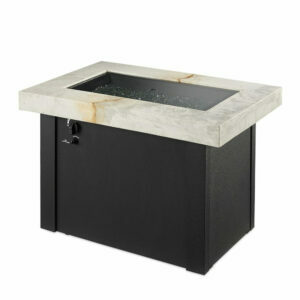 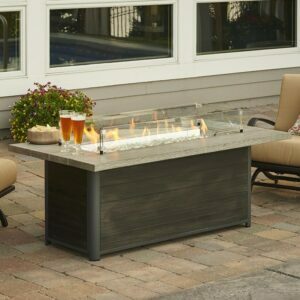 This fire pit table features a stainless steel CF-20 Crystal Fire burner that produces up to 55,000 BTUs of heat. 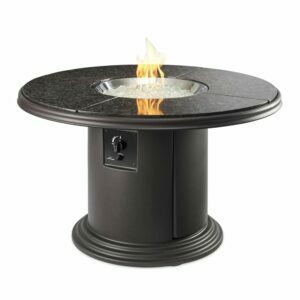 The flame height can be easily adjusted with the electronic piezo controls. 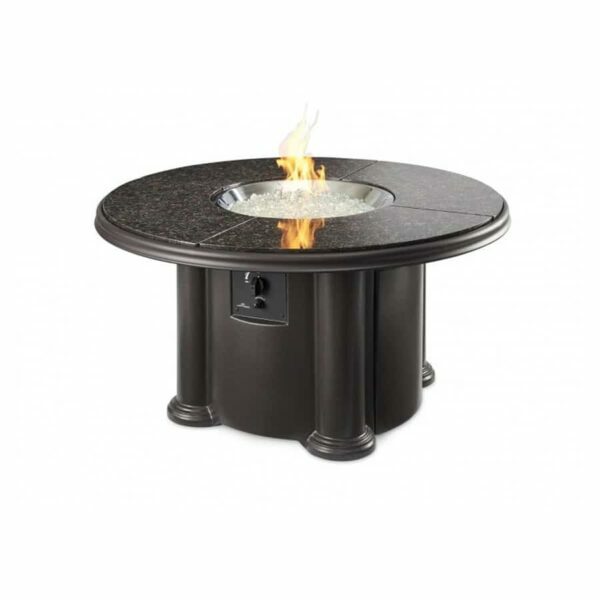 Included is a matching burner cover and Lazy Susan ring which can be used to turn your fire pit table into a serving table for entertaining. 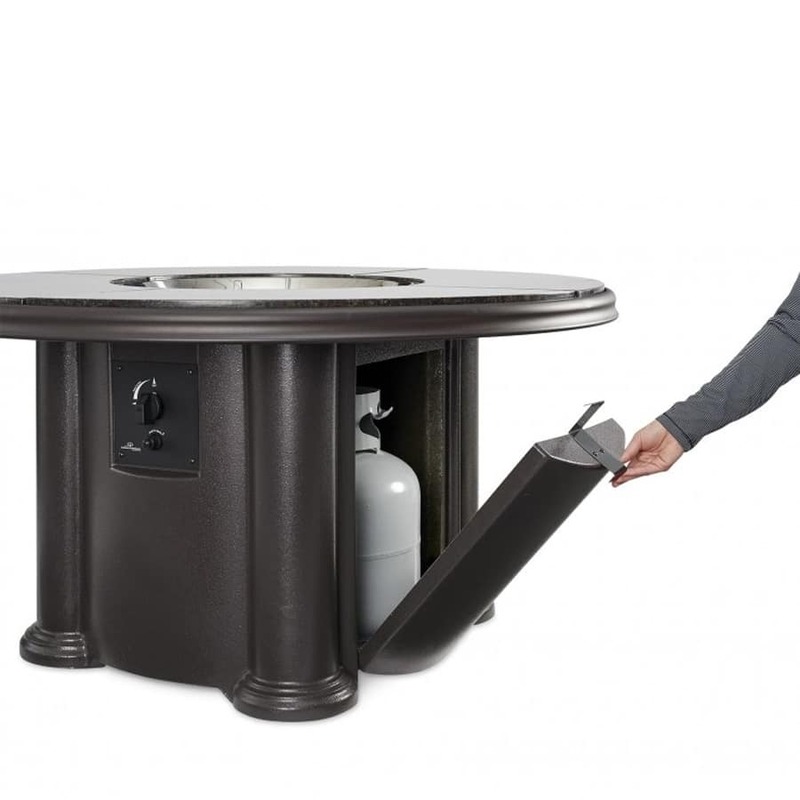 An access door provides discreet storage for a standard 20 pound propane tank. 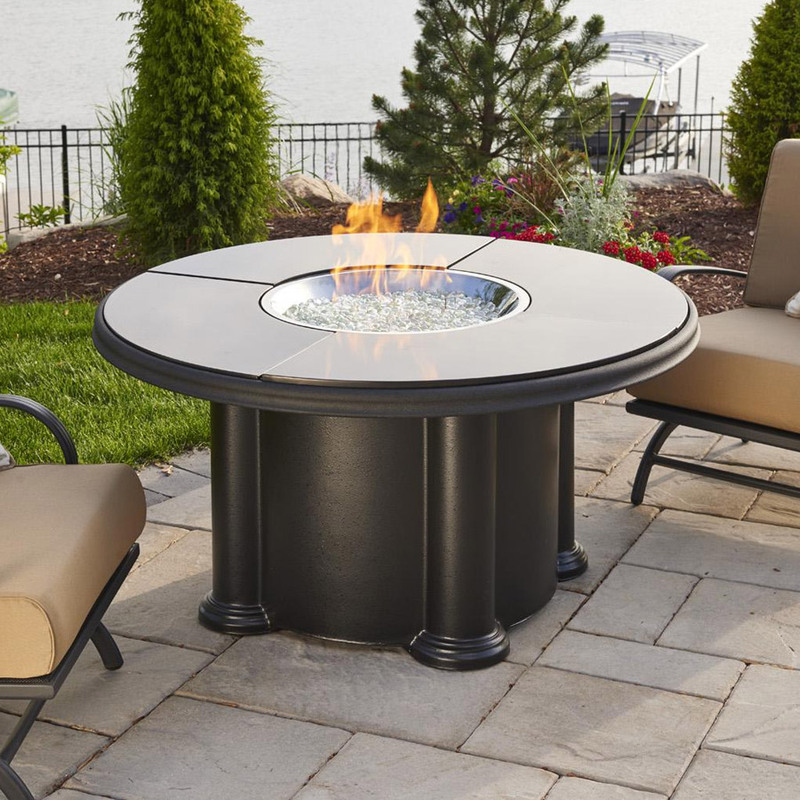 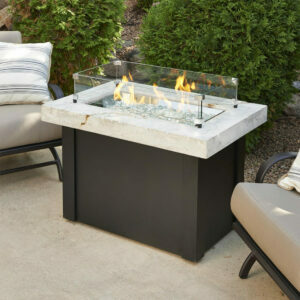 Whether hosting parties or just relaxing on the patio, the Grand Colonial Fire Pit Table will provide many warm, glowing fires for you to enjoy for years to come.